I've drawn a couple of these bands before - Gaz Coombes at Moseley Folk Festival in 2015. 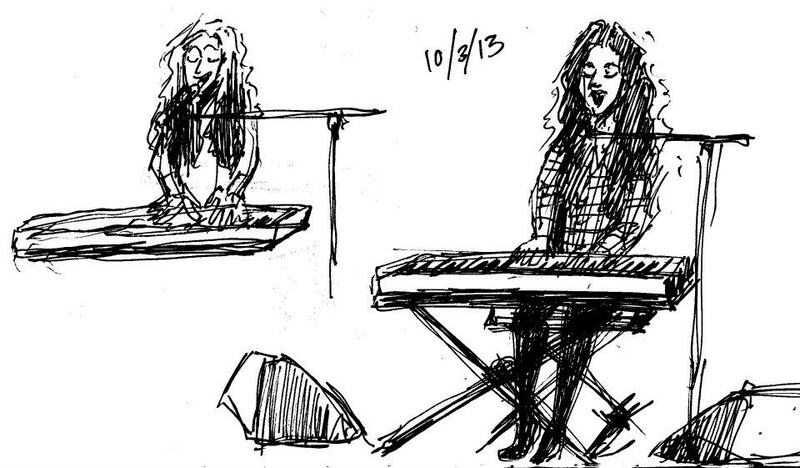 When I last saw Rae Morris it was pre-music blog, but I was still sketching bands back then. Last time she was stationary at a keyboard, but this time she danced around the stage. I tried to capture some of her movements in faster gesture poses.